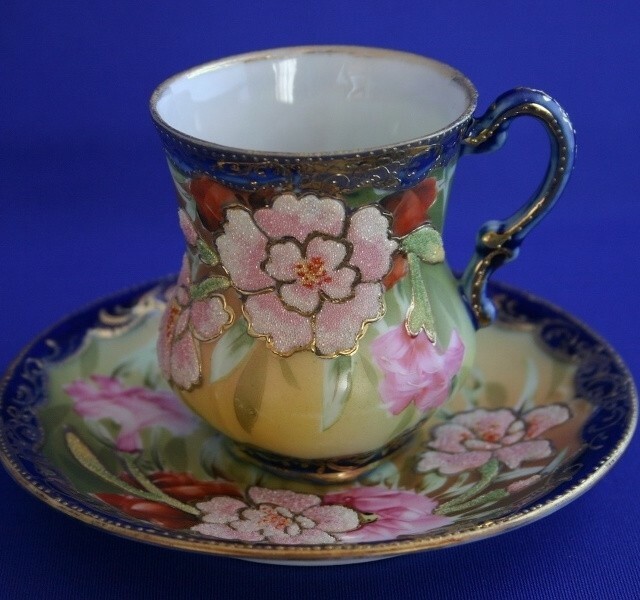 This cup …& saucer was made in Japan and mainly exported to U.S.A by Vantine Co between 1910 and 1910. The technique is called “Coralene” as the sandy texture is similar to the surface of coral. The coralene technique were mainly used to the vases due to the difficulty of firing. 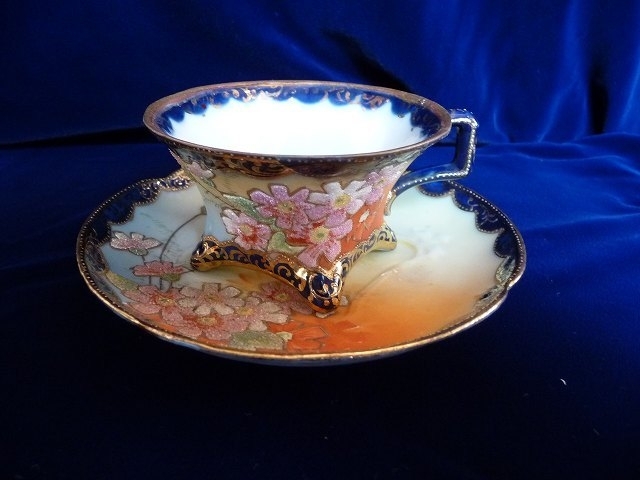 Thus the cup and saucer is very rare! !